Trochus Snails are great for overall aquarium cleaning. They eat green film algae and diatoms. See below for more information. Earn up to 25 PodPoints. Trochus snails are fantastic nuisance algae eaters. They will consume algae on the rock, glass, and substrate. 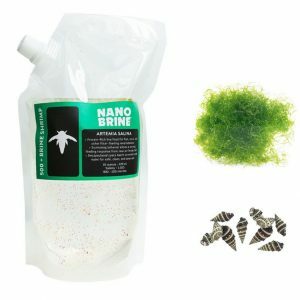 We recommend drip acclimating the trochus snails in the jar they arrive in. 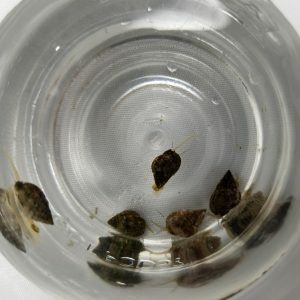 There have been numerous reports of trochus snails spawning in a marine aquarium. We have seen some hobbyist have success with raising them with little to no effort. 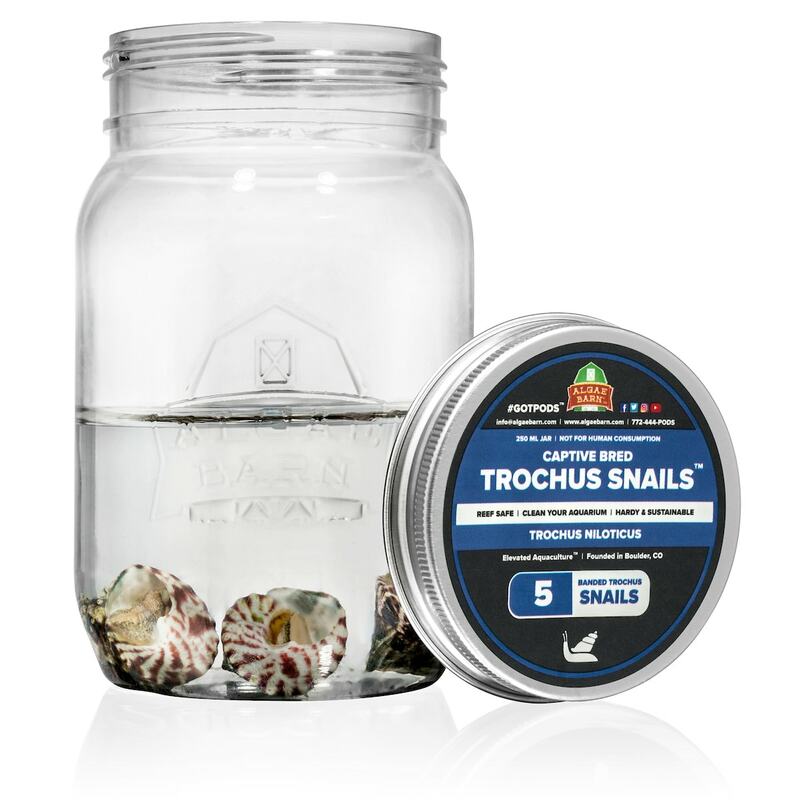 We recommend 1 trochus snail per 5 gallons. They are hard to overstock. You will need to add more trochus snails when you increase the amount of food you feed to your tank. Tired of always replacing dead snails? The Captive Bred ORA Trochus Snail makes a hardy and sustainable alternative to wild-caught snails. This mid-sized reef-safe snail is well known by reef aquarists for its super-sized appetite. Most notably, it has the welcomed habit of clearing algal films from tank walls. It is an attractive animal with purple bands running over its shell. Unlike so many other snails available, this species is truly tropical and won't overheat in conventional reef tanks. Moreover, unlike certain other snail types, Trochus snails can right themselves if they fall from the glass or rock surface. These are tank-bred specimens, which have an overall better survivability in captivity than their wild-caught counterparts. We also offer Captive Bred Cerith Snails to further complete your clean up crew. "The shell of the Trochus Snail is very attractive with long purple or reddish bands, making them prized by marine aquarists for their ornamental qualities as well as their algae-eating tendencies. Its shape is that of a cone with a sharply pointed spire and flattened bottom, usually with eight to ten whorls. In addition to making these snails look great, the shape and durability of the shell helps to protect the animal from its predators. Trochus snails, unlike many other aquarium snail types, are able to right themselves if they fall, which also minimizes the risk of attacks by other animals (this good trait also reduces the amount of time the keeper must take to turn over fallen snails). Its foot is black with a white or off-white underside. A smallish, thin operculum covers the opening when the snail is hiding within its shell..." Read the full article on Trochus Snails in the reef aquarium at the AlgaeBarn Blog. We guarantee that every snail we sell will be Alive On Arrival and in good health. Should they arrive in any other state, we will either replace them free of charge (including shipping). If the total livestock loss is less than $20, we will issue store credit. For more information, please also visit our 100% Alive On Arrival Guarantee page. Ocean, Reefs, and Aquariums™ (ORA™) is a world leader in marine aquaculture. 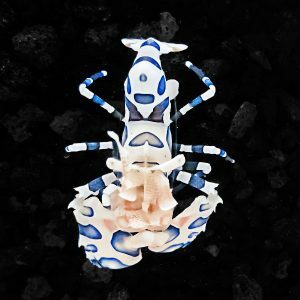 In addition to captive bred fish, they also produce many species of captive bred marine invertebrates. If you would like more information about how captive bred snails are bred and raised in captivity, please visit their website. Great addition to the cleanup crew… Cool addition to the MDT over all. of the 5 Purchased back in December 2 are now well over 1-1/2 …. 1 in the Refugium is just over 2″. Great for hair algae. Hardy and flip themselves over. They even have pretty shells. Highly recommended. Grew frustrated throwing money away on Astrea snails. Although inexpensive, they’re always short-lived. So many times I’ve come home to an Astrea – upside down on the substrate – clinging to life due to its inability to right itself. Although these Trochus are pricier, I anticipate it’s a much better value in the long run. All survived shipment/acclimation and seem to be thriving. No more constantly checking the tank to flip over half-dead snails. The fact that they’re tank-bred is a bonus. These snails have been great in my tank. Purchased 5 and they looked exactly like the picture. They were clean with no algae or other pests and they went right to work after acclimating to my tank parameters. I will be buying more as soon as I can and they are in stock.